Kids use the silent treatment as a way to get you to leave them alone and to push your buttons. 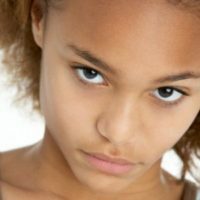 Here is what most parents don’t realize: the silent treatment is giving your child a feeling of power and control over you. What’s behind your child’s thinking? Usually, they’re angry or embarrassed. In fact, often you’ll get the silent treatment when your child has done something wrong and knows it. They use the silent treatment to blackmail you emotionally. The hard part for parents is that the more you make an issue of it or act like it’s painful or annoying to you, the more your child is going to use it to get to you. Stop responding to the silent treatment and it will die by neglect. It’s important to realize that if your child gives you the silent treatment, that’s probably the best problem-solving skill he has at that moment. Simply put, he’s trying to deal with whatever issue is at hand by using this passive-aggressive behavior. And by withholding information or thoughts, he has found a way of getting the upper hand. This type of passive-aggressive behavior is very destructive in relationships later in life. It’s a pattern that you don’t want to give in to and reward in your child. Follow these six rules to end the silent treatment. Many parents take the silent treatment personally. After all, it’s designed to make you feel powerless as a parent. And parents hate that feeling. If you take the silent treatment personally, you may end up fighting with your child out of frustration. Don’t do it. Fighting brings you down to your child’s emotional level and tells your child that he controls your emotions. Don’t give your child that power. Also, if you take the silent treatment personally, you may give in to your child so that they’ll be “nice” and talk to you. Again, don’t do it. It sends the wrong message to your child. You do not want your child to learn that passive-aggressive behavior is an effective or appropriate way to get what he wants. So, don’t take it personally. Don’t give your child’s silent treatment any power. That way, your child has a motivation to talk and to solve the problem. And you’re not pressuring him. Once you make that statement, go on about your business. Don’t let it be a big deal or a stumbling block. Believe me, if you don’t give the behavior power, you’re going to be a lot better off in the long run. I think it’s fine if you want to check in and reach out to your child if they’re still not talking to you. But be careful. Once is probably enough. Going to your child and pleading with him to talk gives him too much power. It lets him know that his silent treatment is getting to you. 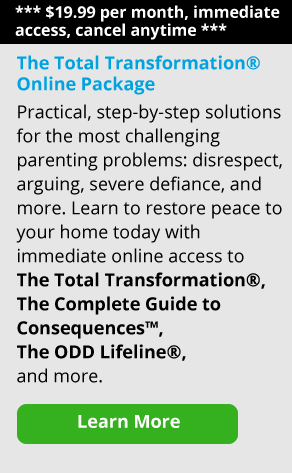 By the way, if the silent treatment is a chronic problem with your child, I would suggest that you not reach out at all. Just remind him that his unwillingness to talk is not solving his problem and that you’d love to speak with him when he’s ready. And that you’ll hang onto his cell phone until he is. And then I’d leave and let them tell me when they were ready to talk. That way, I had the control but they got to decide when they wanted to speak. Here’s the simple truth. When you stop responding to the silent treatment, it will die by neglect. And that’s exactly what you want. Believe me, kids will get out of the habit of freezing you out if it’s not rewarding. And if they want to get something back that they value, they will talk. So always give them the motivation to comply. So there’s some incentive for your child to comply. And you’re also giving him a choice. Let’s face it, he’s not going to like everything you do as a parent, even when you have his best interests in mind. Don’t punish your child by responding to the silent treatment with your own silent treatment. Keep the lines of communication open for your child. I don’t believe that you should ever go to your child’s level when it comes to inappropriate behavior. Don’t fight your child’s inappropriate behavior with your own inappropriate behavior. If your child screams at you, don’t scream back. And if your child refuses to talk to you, don’t refuse to talk to him. Remember, we don’t want to start fights. And when one starts (it happens, we’re not perfect), we want to get out as quickly as possible. Going to your child’s level almost always results in a fight. And you simply cannot win when you’re fighting with someone who has nothing to lose. If you give your child the silent treatment in response to his lack of communication, you’re essentially engaging in a fight with him. Adolescents go through a stage where they develop a kind of contempt for family living. And they show it. Teens who are better-behaved will be more passive about it. Often they’ll shrug, roll their eyes, and say “whatever.” They’re not really being aggressive or abusive, but they’re not engaging with you, either. If you have an adolescent who is acting that way but is still complying with the house rules, I recommend that you just leave it alone. If you want everybody to come to dinner every night, then you have to make that a rule. I think it’s great if your family can do that, but many families can’t manage it, and I understand. But if you decide you want to have a sit-down dinner every Sunday, for example, require your adolescent child to be there. Expect them to stay for the whole meal. Let them sit there, make faces, and say “whatever.” It doesn’t matter. Just ignore that kind of thing. Again, you don’t want to give those little annoying behaviors power over you or your kids will use them to try to push your buttons. If the behavior becomes more obnoxious, speak with them about it privately. Give consequences if they still don’t comply. So if there’s a basic family function, require your child to participate. If he’s not respectful, hold him accountable with an appropriate consequence. It’s his responsibility to behave appropriately. You have the right as a parent to have him comply with that. The key is to motivate them to give up inappropriate problem-solving methods and find an appropriate ones that work.